Growing up I used to love the Cam Jansen mystery chapter books by David A. Adler. 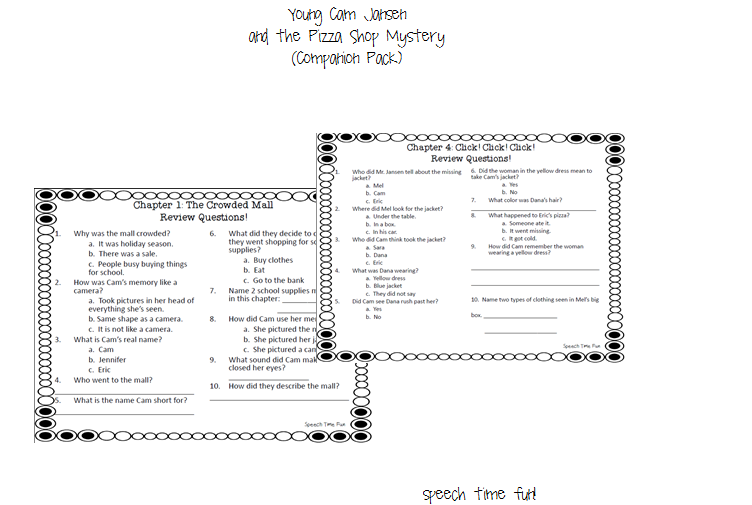 I have been using these books in my speech room to teach predicting, story comprehension, using context clues to learn new vocabulary, main ideas/details, sequencing, and answering higher level questions and using evidence from the story. 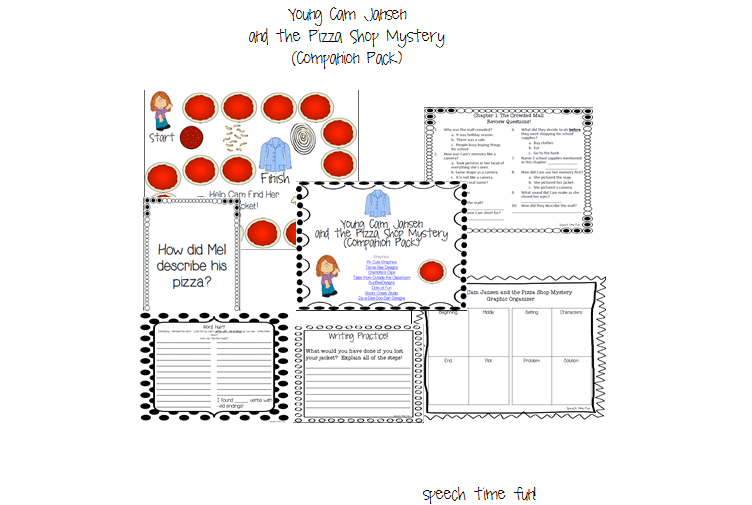 I have created a companion pack to use with one of my students’ favorite books from this series. I found these books on Amazon for less than $4 each and when you buy them in a bundle you can get them even cheaper! 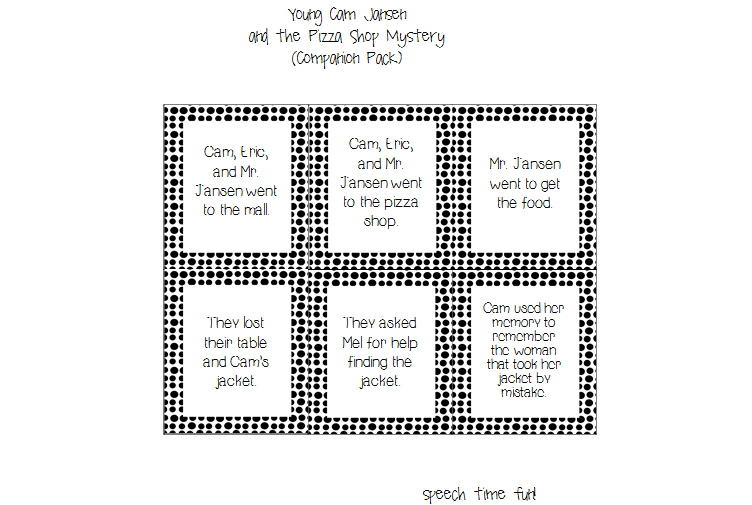 -Sequencing Sentences: Students can rearrange the sentences to retell the story in the correct order. -Comprehension Board Game: Students can recall and express details about the story using the question cards provided. 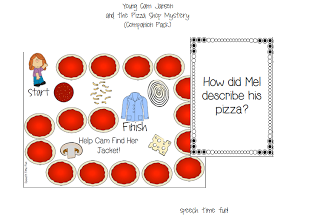 After students respond correctly, they can take a turn in the board game. 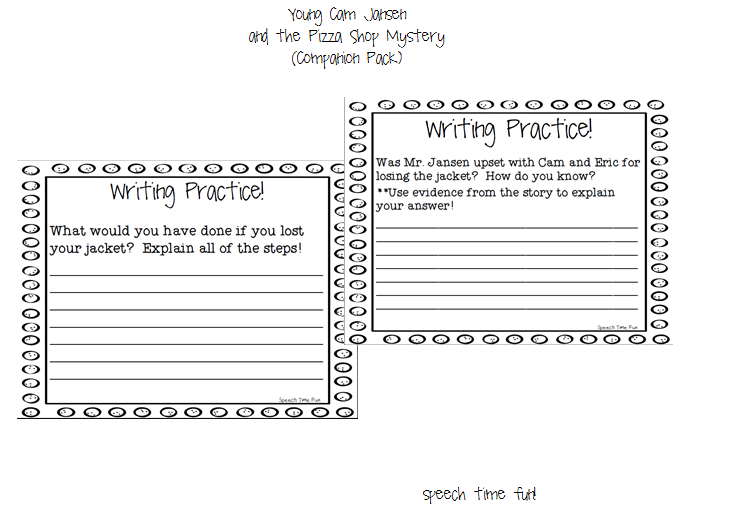 -Graphic organizer: Students can use this graphic organizer to take notes while reading the story. 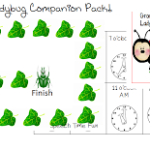 This will help them with the various activities included. 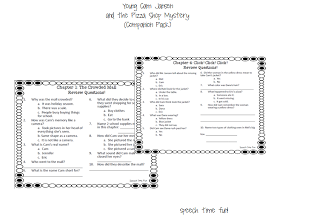 -Comprehension question worksheets: A worksheet is provided for each of the 5 chapters. 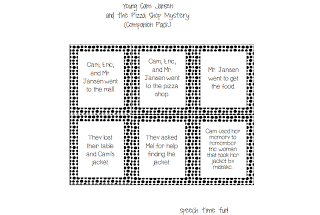 Students can practice recalling details after each chapter. 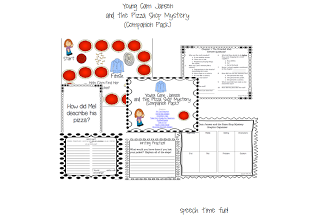 By reviewing what was read/heard, this will help them recall the entire story once finished. 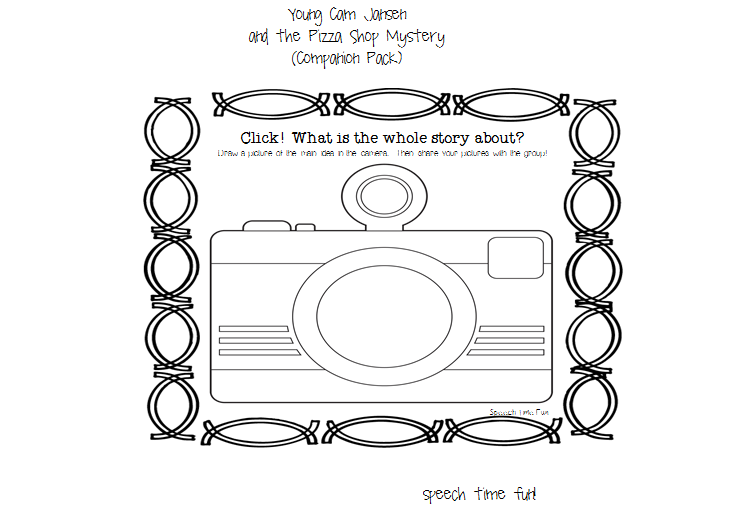 -Word Hunt Worksheets: Students can reread the story again and look for the specific grammatical structures requested in each word hunt. Students can compete against each other to see who can locate the most! 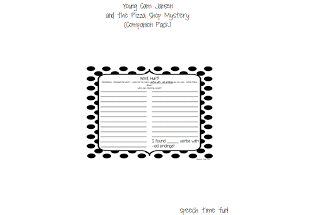 -New Vocabulary Word Sheet: Students can practice understanding and using new vocabulary used in the story. Students will practice looking up definitions, using definitions in their own words, using words in sentences, and illustrating how the words are used. A sample list is provided of new vocabulary words. 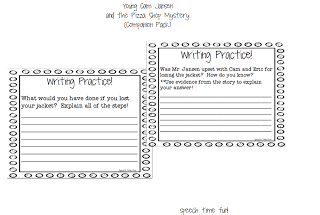 -Writing Practice: Students will work on written expression and higher level thinking with the writing worksheets provided. 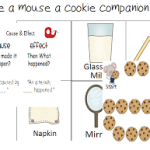 Encourage students to look back into the story to locate evidence that will defend their responses. -Click! 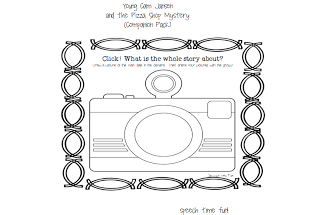 : Students will be encouraged to use their own amazing memories to draw what the whole story was about (main idea). Then, they can share their illustrations with their classmates. 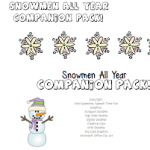 You can access this storybook companion pack in my TpT store by clicking HERE!! 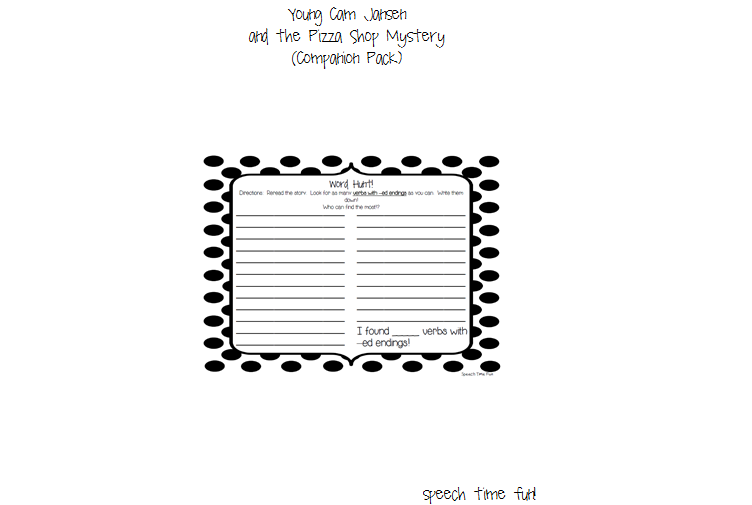 Feel free to let me know if you request other specific Cam Jansen books for future companion packs!